Maine is full of restored old barns and the Barn on Walnut Hill in North Yarmouth is definately one of the nicest I've seen. Wedding photography in these old barns creates a very classic and romantic feel the the whole event. The old wood and tungsten lighting create challenges for the Maine wedding photographer but once you understand how to light the room images such as this can be created. Wavelength Band plays in the background as the couple have their first dance together in the vintage barn. 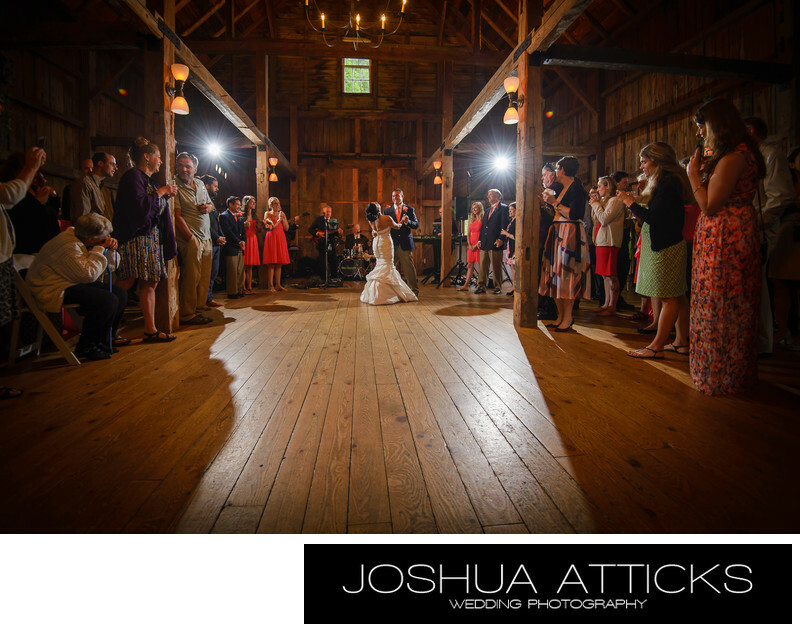 As a maine wedding photographer I recommend the Barn on Walnut Hill as a venue of choice. Location: The Barn on Walnut Hill, North Yarmouth, Maine.